Tokyo is a city of waterways. The topography of Tokyo can be broadly divided into plateaus and lowlands- with the hills and plateaus of Tama and Musashino unfolding against the Kanto-sanchi mountains to the west and the lowlands that stretches to the east. Many rivers run through the uneven terrain, winding their way through to Tokyo Bay. 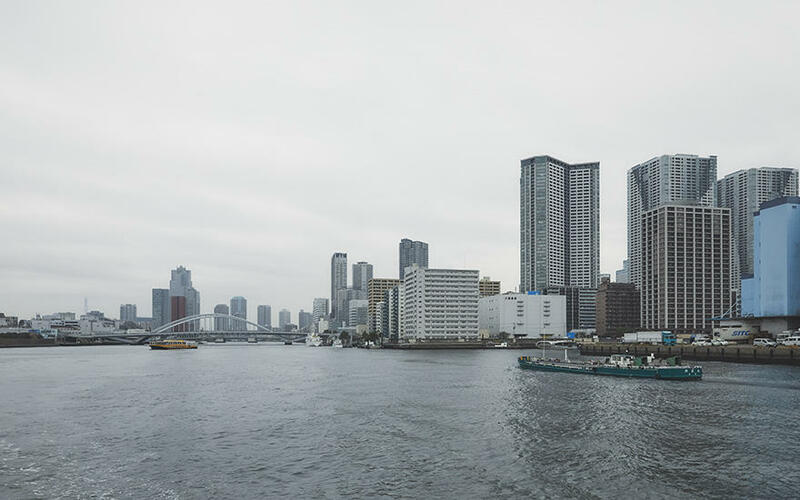 This close connection with the rivers and the sea has shaped people's lives and cultures, which remain strong in Tokyo today. These water sources have not only provided drinking water, but have also been a vital resource for many industries. 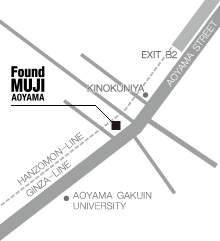 Beginning with the Edo period (1603-1868), the waterways that were built and maintained formed an infrastructure for the distribution of goods, and the riverbanks became bustling urban centres where people gathered for festivals and entertainment. IEven today, anyone strolling around Tokyo will see this legacy. Streets are dotted with markets, warehouses of timber merchants, wholesale districts, and small factories. Yakatabune, a type of tour boats with roofs, float down the Sumida River; and people drinking at izakayas with red lanterns are still common sights. The waterfront has long been an integral part of Tokyo life. For the Tokyo edition of Found MUJI, we explore items used commercially and in daily life, for glimpses of the industries and lifestyles that have taken shape along the waterfront.